I made these cute little tags to attach to some cookies for a little Fall gift for my kids' teachers. I really love how they came out! I'm going to enter them in Peachy Keen's Challenge 13-38-3D Objects-Potluck. and Exploring Cricut-What's Cookin Challenge. I got my new Sweet and Silly Face Assortment stamps in the mail Friday night, and I was so excited to use them! The cuts came from Sweet Treats and Create-a-Critter. See details below. 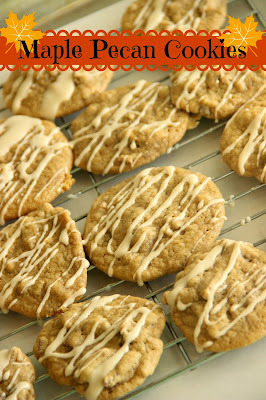 And if your are looking for a great Fall cookie recipe, visit my food blog-Diary of a Recipe Collector. They are yummy!! What an adorable tag! I don't know if I could give it away! Thanks for joining Exploring Cricuts Kitchen Challenge! Darling tags!! I love this TREAT!! Yummy! Adorable and looks yummy! Hope you will stop by and link up at Craftin Desert Divas “Fall/Autumn” Linky Party. Wow!! So adorable!! What a yummy treat!! 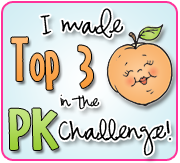 Thanks for joining us in this week's PKS challenge!! What a perfect tag and treat. It looks so adorable and delicious! Great job and thanks so much for joining us this week at Exploring Cricut! What sweet little tags and the cookies look yummy too!! thanks for linking up at Craftin Desert Divas!! These are fantastic and the cookies look fabulous too! Thanks for joining us at Exploring Cricut this week. Thank you so much for joining us at Craftin Desert Divas “Fall/Autumn“ Linky Party. Super CUTE!! I saw them over at Peachy too! Fabulous idea Jarwn! Love the PKS faces, thank you for sharing this with us at Exploring Cricut? Oh my goodness these treat bags are darling!! Those cookies will make any teacher happy!! !